Reflexology is based on the principle that there are reflexes in the feet which correspond to every part of the body. Reflexology serves to relax, improve circulation and promote a general feeling of wellness. Foot reflexology quite simply refers to the reflexes that have been mapped out in the foot. 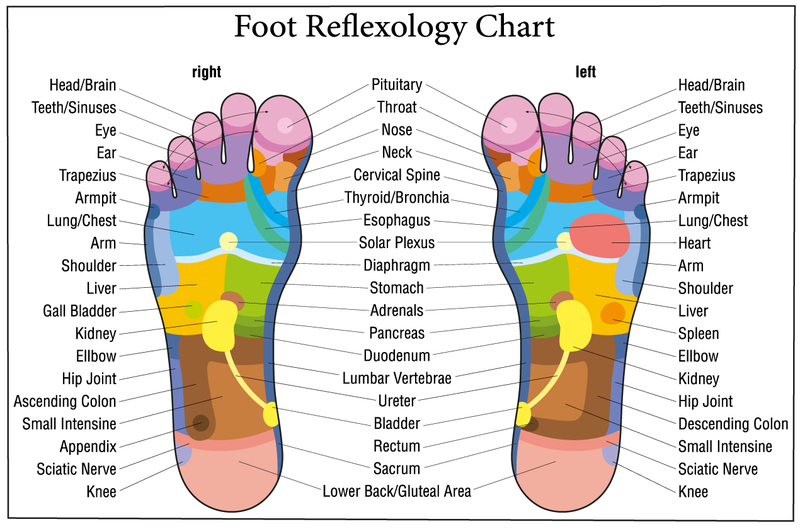 There are many different foot reflexology charts that show where the reflexes are for every part of the body. Reflexology is different than massage. Reflexology works through nerve endings whereas massage is applied to the muscles and soft tissue of the body. The actual technique is quite unique as it is meant to affect the reflex and not just the surface of the skin. Reflexology treatment should not be painful, though there may be uncomfortable or tender areas if your body is highly stressed. The more pressure that is applied to those areas, the less tender they will become.